How do I buy a School of Rock Franchise? 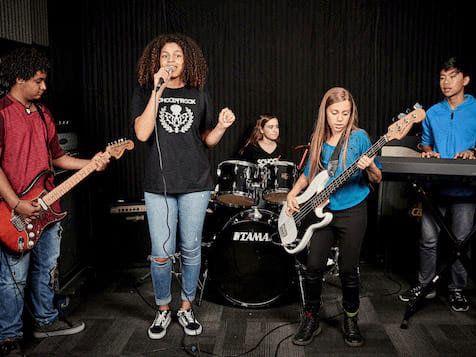 School of Rock boasts more than 29,000 students worldwide, and has takent their music education franchise system to the next level. From 2014 to 2018, they added 70 units to the music franchise system due to a strong leadership team, expertise as a franchisor, franchisee-focused support and proven business systems. It’s easy to see why, among music franchise opportunities, School of Rock rises to the top. 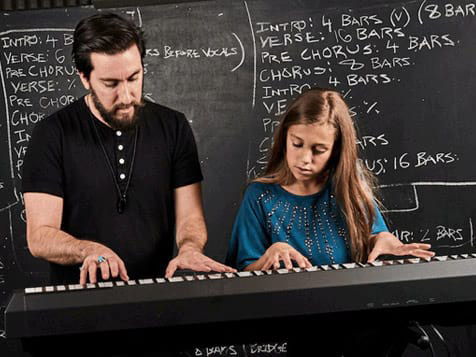 Our Education Franchise Lets You Indulge Your Passion for Music While Improving Kids' Lives. To put it bluntly, we rock! We’re the largest music education franchise in the U.S., and in our two decades of operation, we’ve expanded to nine countries across the globe. Entrepreneurs with a passion for music, whether they’re musicians themselves or just feel deeply connected to music, find themselves drawn to our business opportunity. If you think you belong at School of Rock too, scroll on to learn more. Open School of Rock in any of these available states: AK, AL, AR, AZ, CA, CO, CT, DC, DE, FL, GA, IA, ID, IL, IN, KS, KY, LA, MA, MD, ME, MI, MN, MO, MS, MT, NC, ND, NE, NH, NJ, NM, NV, NY, OH, OK, OR, PA, RI, SC, SD, TN, TX, UT, VA, VT, WA, WI, WV, WY. Our performance-based music curriculum is so unique in its approach to teaching children how to be musicians that we’ve won the acclaim of everyone from parents to professional musicians. 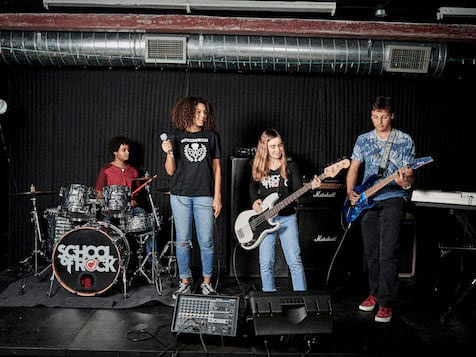 With more than a decade of experience and over 200 schools throughout North and South America, Africa and Asia Pacific, School of Rock is the leader in performance-based after school music education. Students learn from professional musicians in an interactive environment, combining weekly one-on-one lessons with structured group rehearsals that culminate in a live performance in front of real crowds in real rock venues. Our students are more inspired to learn, more motivated to excel and more confident in everything they do. Our series of programs are specifically designed to take each student on a unique musical journey, always giving them something to aspire to. Whether they are a complete novice or a seasoned musician there will always be something new and challenging for them to tackle. Our goal is to help you open, staff, market, and operate your School of Rock quickly and confidently. You gain access to our tried-and-true business model, including operational and financial practices to grow your business fast. We provide a complete package of ready-to-use marketing tools, and corporate support to implement these customer acquisition and retention strategies. You and your staff will learn how to use our motivational tiers to get kids to learn an instrument, overcome stage fright and play great classic rock music via hands-on sessions and a comprehensive curriculum manual. Make a Real Difference: Impact children's lives through music. Turn Your Passion Into Profit: Your love for music can be your career. Financing Options Available: If you meet our minimum requirements, our partnership with ApplePie Capital makes financing easy. Simplified Application Process: Get your new school open faster than ever. Real Estate Development Services: Take the work out of developing your franchise’s storefront. School of Rock provides franchisees with all the tools and guidelines needed for success. Our ultimate goal is to minimize the time it takes from signing on the dotted line to opening your doors. School of Rock is looking for energetic individuals who enjoy working with families and children. Ideal candidates should have an entrepreneurial spirit, solid business and sales skills, and be an active part of the communities in which they live and work. A background in music, although a plus, is not a requirement. Please note this franchise is accepting leads from within the United States and Canada ONLY. School of Rock is not currently active in our directory, but here are some other recommended selections for you to explore.